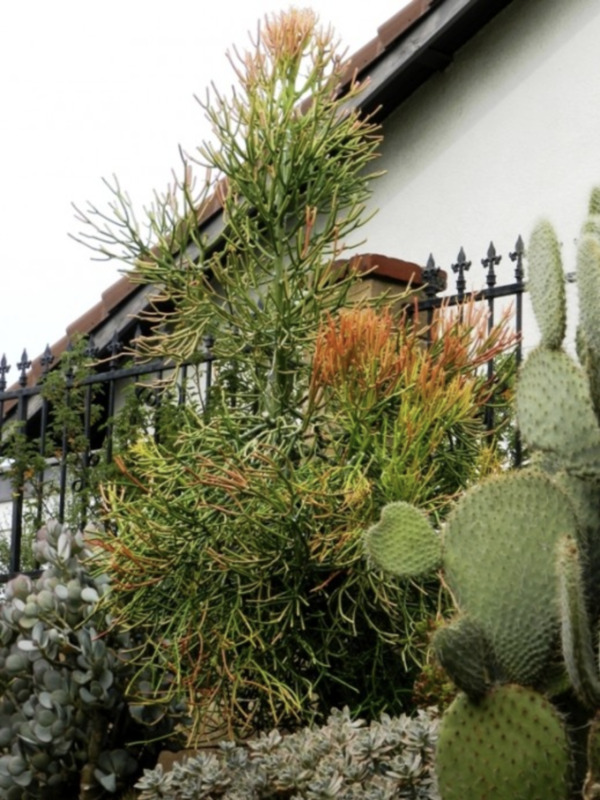 Sherry has maintained homes and landscaped yards for 48 years in Southern California. 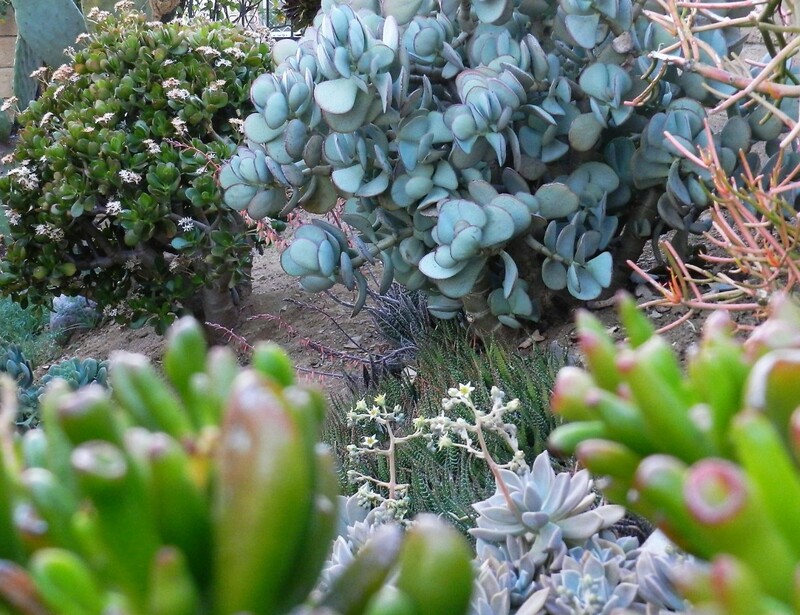 She has collected water-wise succulents for 12 years. This instructional page was prompted by actual events. Nothing brings home a fact more than true life stories. It is winter and my favorite time to work in the succulent garden. It is nothing fancy, because the plants are placed haphazardly as acquired. The "sticks of fire" succulent was a one gallon specimen when I planted it about six years ago. Now, it needs serious tending almost twice a year. 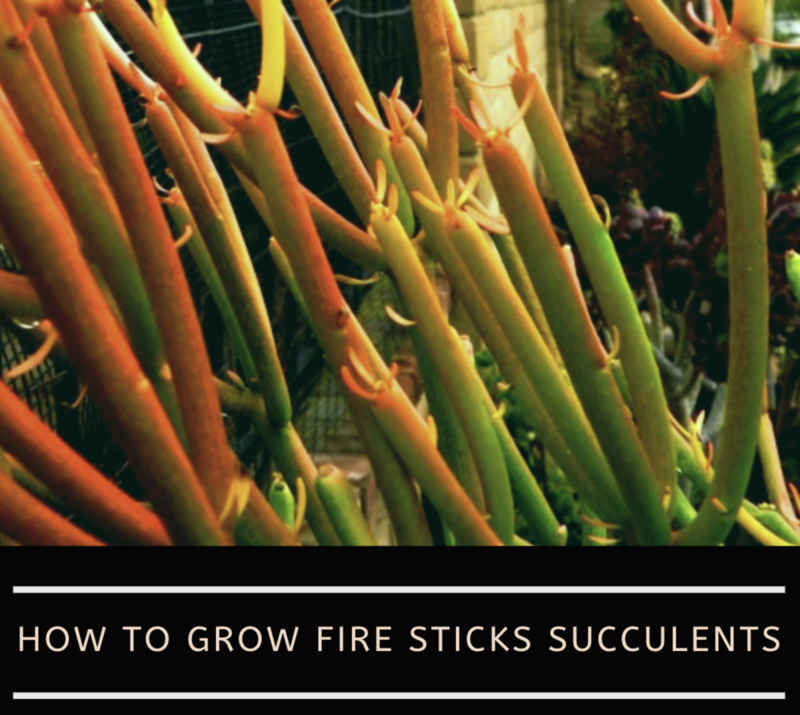 In this article, I will share the tips and tricks I've learned from personal experience that will help you grow and maintain your fire sticks succulents. Euphorbia tirucalli "Sticks on Fire" is best propagated from stem cuttings. Please keep in mind "sticks on fire" is toxic. Take precautions when handling this succulent. The location of fire sticks should allow for full sun year round. Water very sparingly. It is very drought tolerant. Less water helps control growth. 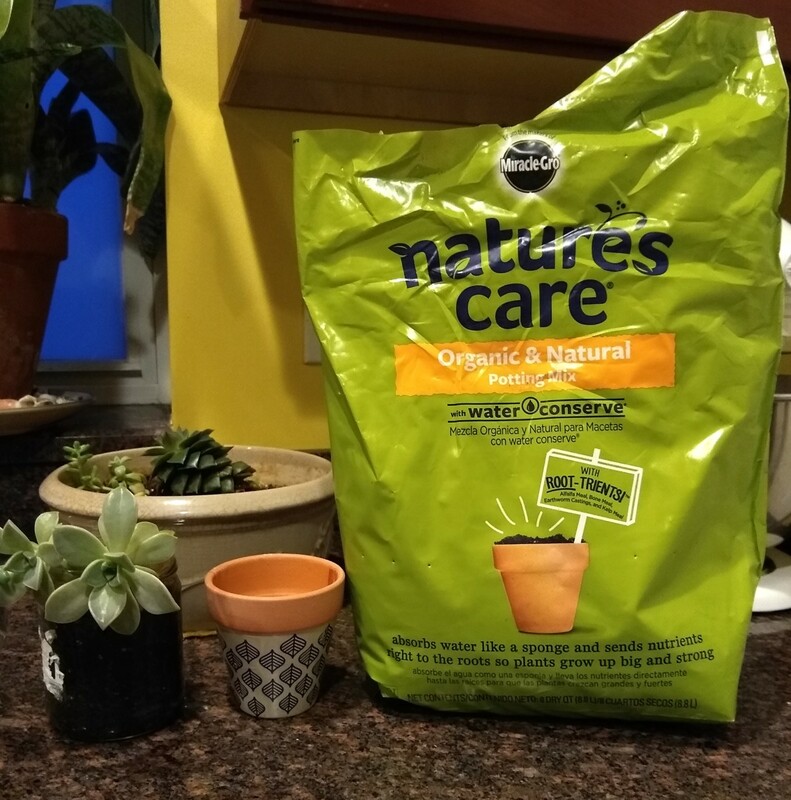 I have not given the plant any nutrients and have not needed to fight off unwanted bugs. It is easy to take care of in Southern California. I heard rumors about a plant being used for fencing in Mexico? Fire sticks grow forever and can eventually be tree-sized. If the plant is simply topped, growth is encouraged to become thick up and down the whole trunk. If the plant is too tall, rip it out and start a new cutting. The color of the plant may be the reason for its name, but if you get its white sap on your skin, you will find another reason to call it "fire sticks." It hurts! Since this succulent can develop a woody trunk, it might be advisable to replant the whole bush with a new cutting every three years. If you do, it will remain small and manageable. Add Color to the Succulent Garden With Fire Sticks. My full grown plant. The trunk is about 4-5 inches thick and well established in six years. Thick older branches develop tough cords inside. A sharp clipper can be used. Every branch you remove can be used for a new plant. Let the end dry for a day and simply put into soil and watch for new growth. 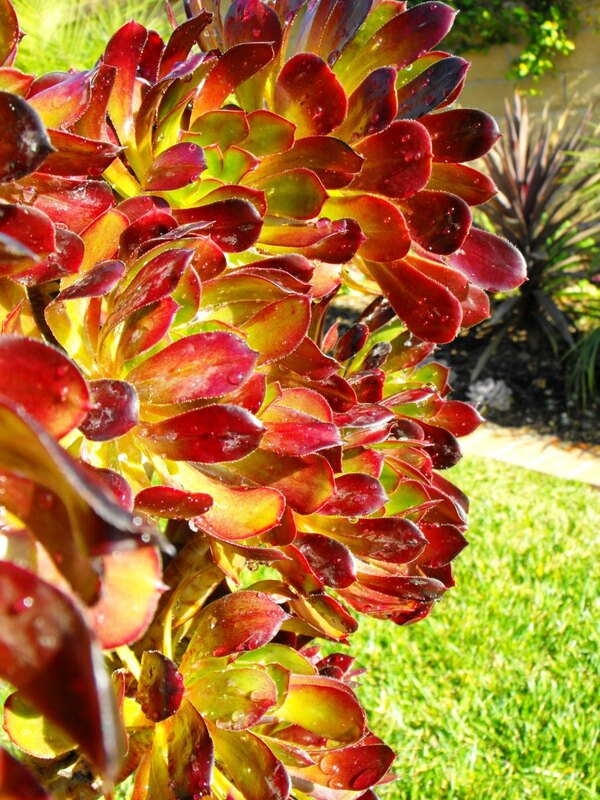 The plant grows new red branches in the winter and adds color and interest to all succulent gardens. Add small branches of red color to pot arrangements. It brings height, color, and textural interest. Let it dry out for a couple of days between each watering. 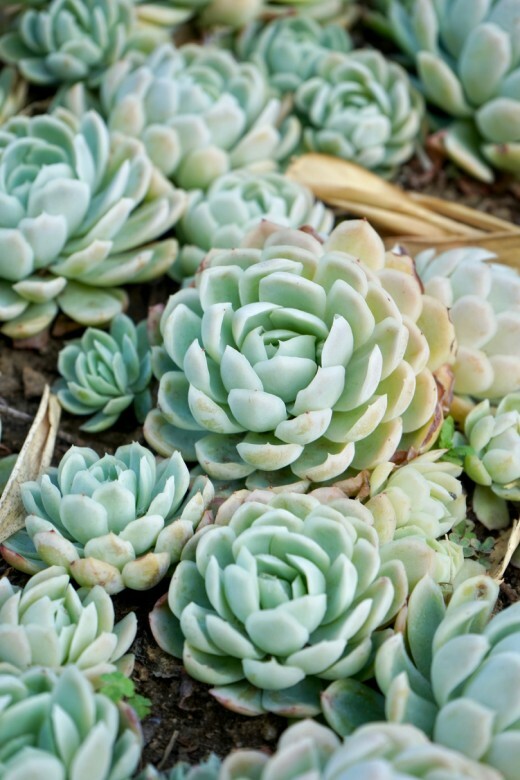 Since it is a vigorously growing plant, it will need more replanting than other succulents. 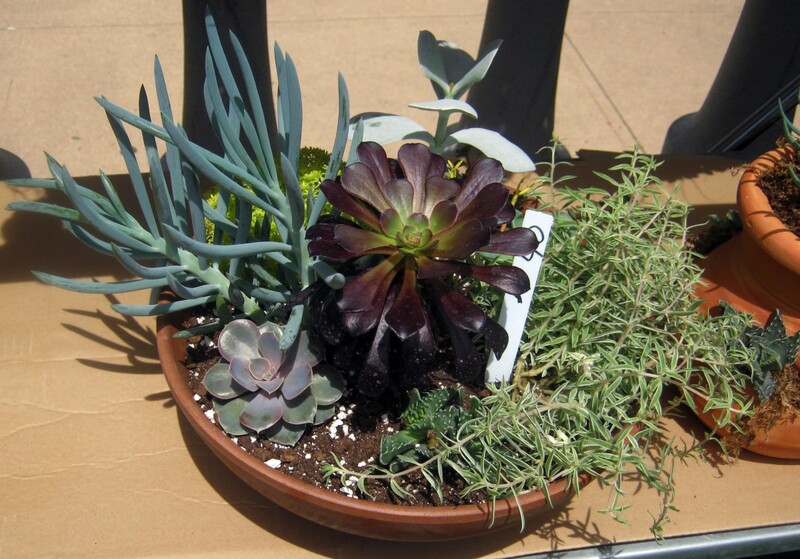 The easiest way to enjoy this colorful plant is in a planter or pot with other succulents. Planters and decorative pots, requiring plantings for seasonal renewal, are good methods for keeping this succulent at a manageable size. Last warning: Do not get the sap near your face and eyes. 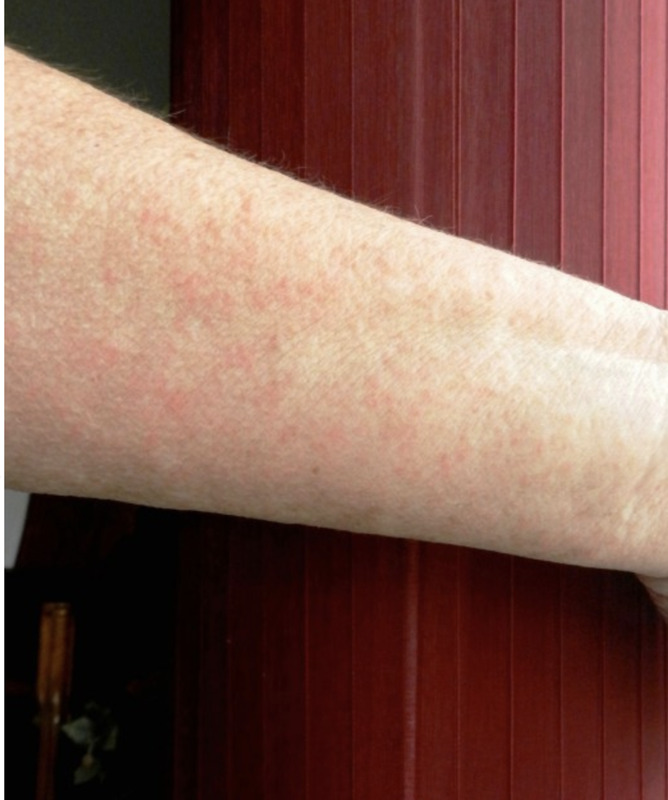 Wear long sleeves to avoid getting sap on your arms. This plant can be enjoyed if the sap is safe inside the plant. My dog has never licked or bit into the stems or branches and has not suffered illness just because he has explored under it or near it. He is a smart dog, though, and has never became ill because of landscaping in the yard. 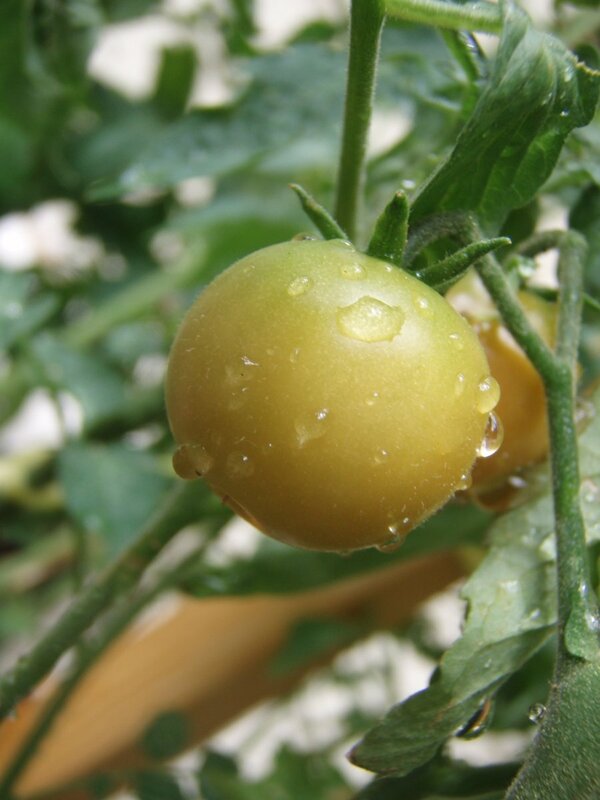 This plant requires that you plant it in an area of your garden that gets 4–6 hours of bright sunlight a day. Sunlight should be available year round. These plants are native to sunny places and should not be grow in places with long, harsh winters. "Sticks on fire" has typical watering needs for a succulent. It’s best to use the “soak and dry” method—allow the soil to dry out completely between watering. Sap causes serious burning to the eyes! 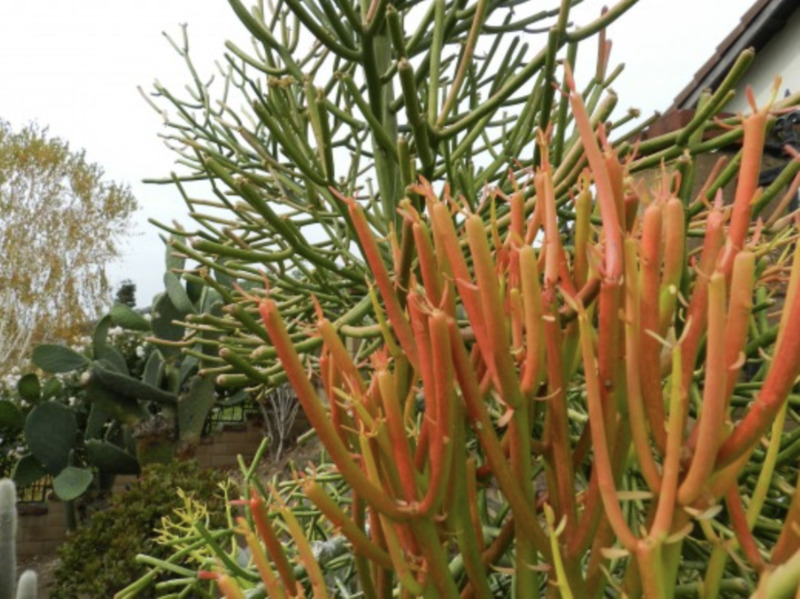 The fire sticks succulent gets too big and is too toxic to have where kids or unknowing adults may break off a stem and get exposed to the sap. I am hearing eye irritation stories more and more, so watch the toddlers and curious youngsters when walking the neighborhood. 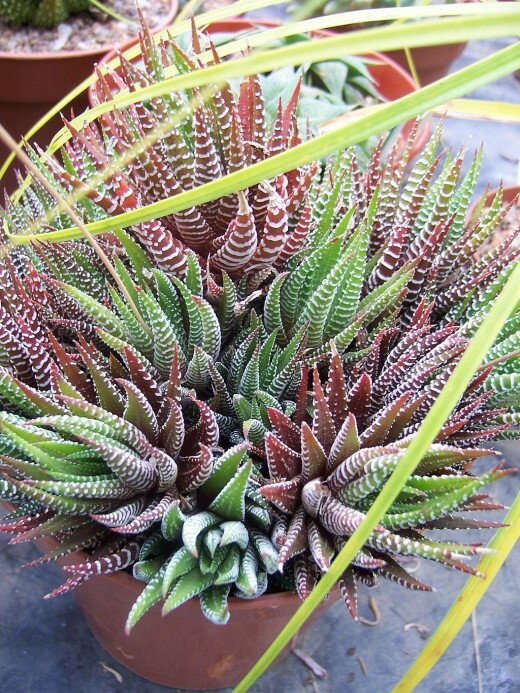 Don't plant this succulent near public walkways, because the stems are tender and break very easily. 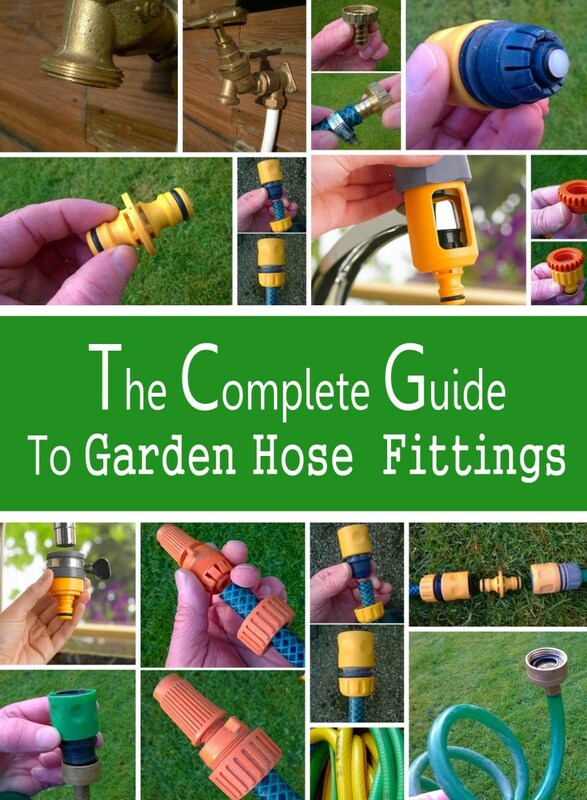 The gallery below shows the gloves that I have in the garden shed. I always wear them for roses and sago palm trimming, but failed to think of them when I attacked the sappy Euphorbia plant. The gloves are washable too. Put them in the laundry if too dirty or sappy. 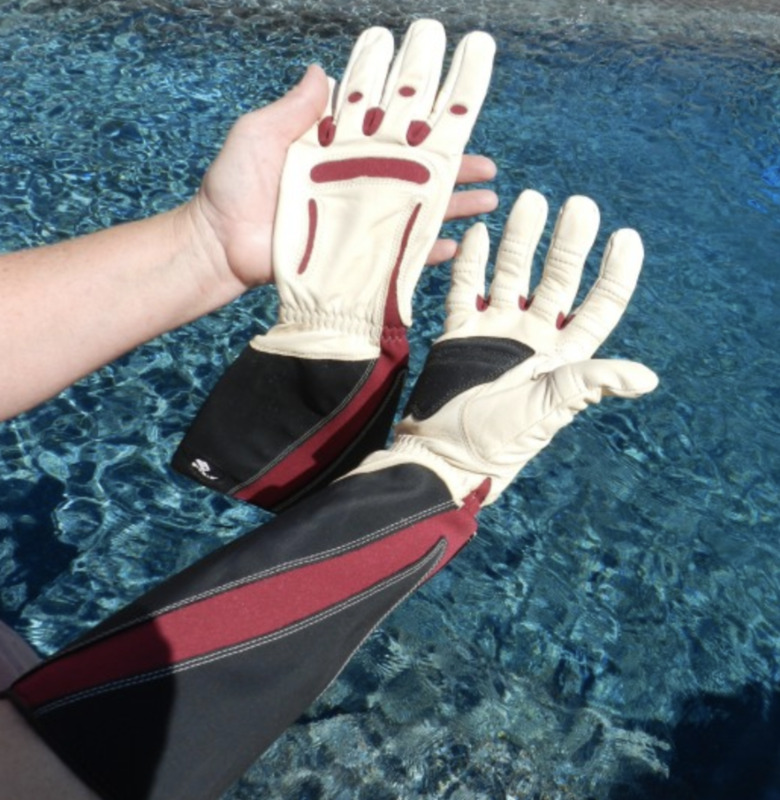 They fit snug around the fingers and the arm shield guards against pricks and sap. They are made by a baseball outfitter. New branches are tender and can easily be removed by breaking them off by hand. Be cautious, because the sap running from the branches can irritate eyes and skin. Even little flying droplets can become a painful episode. A cool day in the garden seemed like a good time to thin branches. I know the white sappy stuff is toxic but have worked on the plant before without any problems. I did not have long sleeves or gloves on. The next day, I had a rash on my arm and the side of my face. It was itchy. 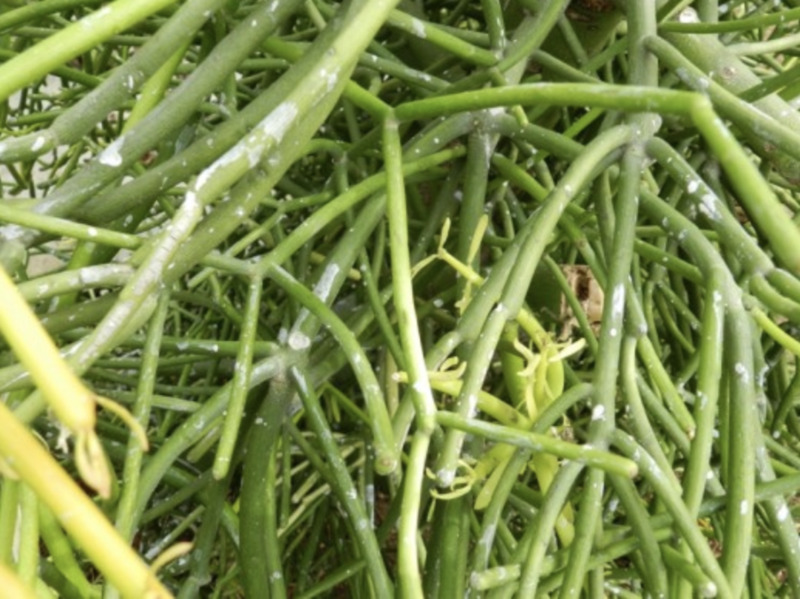 So, a word of caution to all Euphorbia growers: the sap can cause rash and eye irritation! Note: Lisa from Los Angeles says in the comment section below that Benadryl seemed to stop the severe eye irritation from the sap quickly. I had a second eye burning incident and I swore the plant was coming out. Full goggle eye protection is going to be used for the next trimming. Always Use Full Goggles When Trimming Firesticks. Rash from Euphorbia tiruccalli, Sticks of Fire succulent. It cleared after four days. My favorite garden gloves. They also come in wrist length. Evidence of the sap. It drips freely. BEWARE. Where Should I Plant a Sticks of Fire Succulent? Euphorbia tirucalli is perfect for container gardens. It grows quickly, so it may need to be repotted more frequently than other succulents. It will display the most color during winter months. Make sure to plant it in an area of your garden that gets at least 4–6 hours of bright sunlight a day. Yes, and I have suffered eye irritation. Beware! What are fire sticks succulents? Fire sticks succulents have a wide distribution in Africa. They are prominent in northeastern, central, and southern Africa. They may also be native to other parts of the continent. They may also be native to the continent's surrounding islands and the Arabian peninsula. This shrub-like succulent has bright red, pink, orange, or yellow stems. It grows well in container gardens. However, due to its toxicity, it should never be planted where there is a lot of foot traffic. It grows well in dry areas, and, in other parts of the world, it is used to feed cattle or as hedging. This succulent is deer and rabbit resistant. They are not suited for indoor growing. They require the typical water needs for a succulent. The plant grows up to 8′ (2.5 m) tall. The plant grows up to 5′ (1.5 m) wide. The temperature zone is 10a (Minimum 30° F | -1.1° C). It's toxic to humans and animals. It actively grows in Summer. These gloves are used to avoid rashes and burns. Nitrile coating provides superior grip. They are latex-free construction ideal for skin sensitivities. They are lightweight, breathable construction for comfort. If you’re propagating tough agaves, cacti, or other plants with a dense core, then a sharp knife will be needed to propagate these plants. You'll need a strong pair of pruning shears, as well as a pair of trimming snips to reach into tight places and cut the succulents. 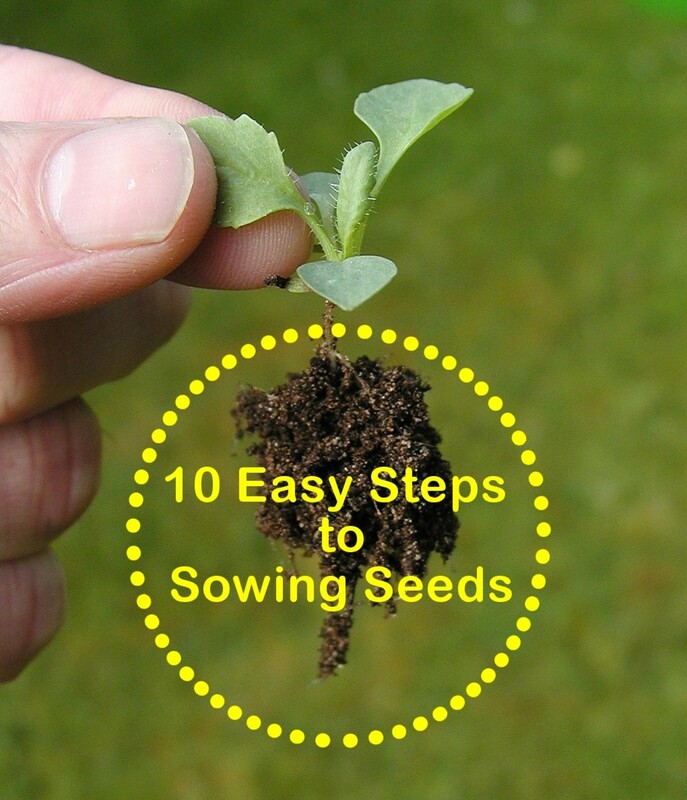 You'll need a well aerated and well-draining soil. This is crucial to ensure that our plant’s roots can penetrate the soil easily. It depends on the size of the soil bag. Small pebble rocks are used for drainage and for decoration. Depends on the type of rock and the size of the bag. 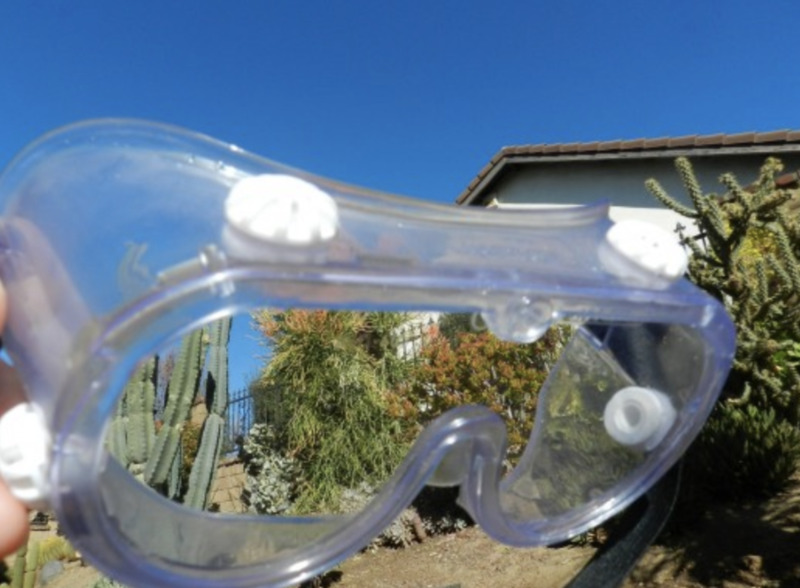 Some species of succulents contain toxic fluids that can burn your eyes. Why are fire sticks succulents' tips red? Plants are green due to their chlorophyll. During "stress periods," the amount of chlorophyll will vary. During the winter stress period, this succulent explodes with color. It glows almost fluorescent in shades of pink, coral, green, red, and orange. In areas where the night time temperatures begin to fall into the 40s, or near freezing, many of these plants begin to “stress” and this results in their rosy colors. Are fire stick plants poisonous to dogs and cats? 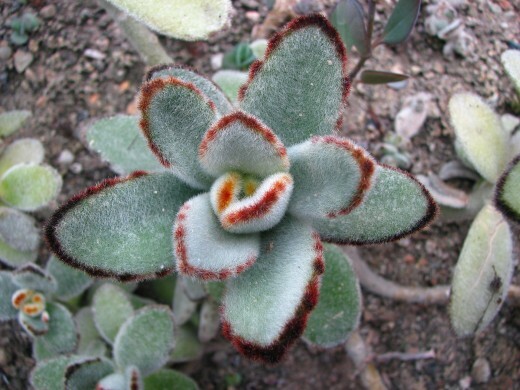 Pencil succulents, including Euphorbia tirucalli, are toxic to humans, dogs, and cats. They can cause serious intestinal injuries and skin injuries. How do you transplant a fire stick plant? You should place the fire sticks succulent carefully when transplanting. Add or remove soil as needed. Yo'll need to replant it at the same soil depth it sat in its previous pot. Make sure to fill the area surrounding the plant's roots with soil. You'll need to gently pat that soil until it is firm. Then, make sure to water the soil until it is thoroughly moist. How do you root Euphorbia cuttings? Make sure to put the cutting into a moist rooting medium, then place it in the shade to root. 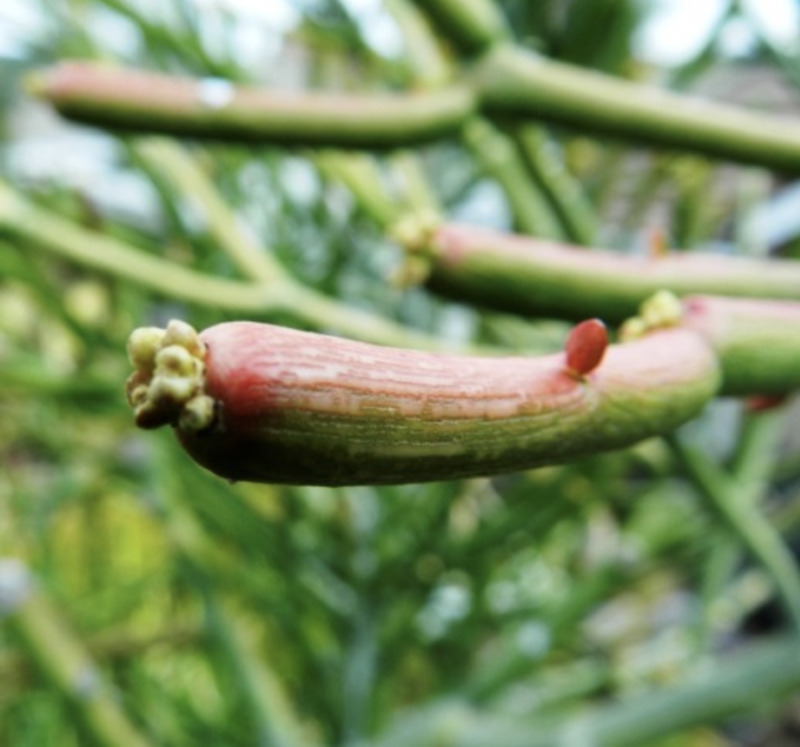 During the summer months, make sure to take cuttings from semi-mature stems. 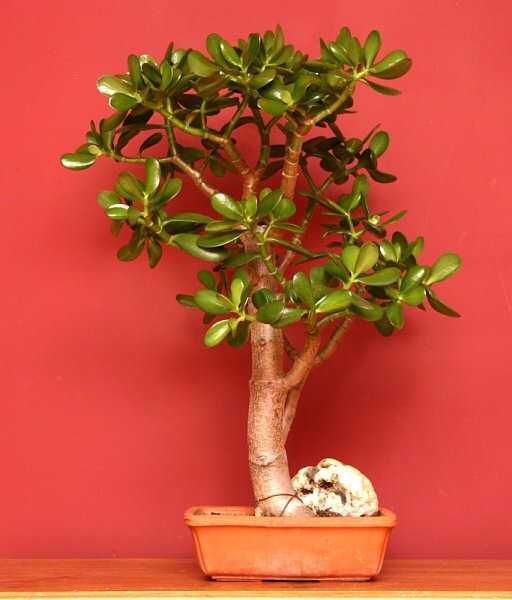 The jade plant is native to South Africa. It has thick stems and glossy green leaves. 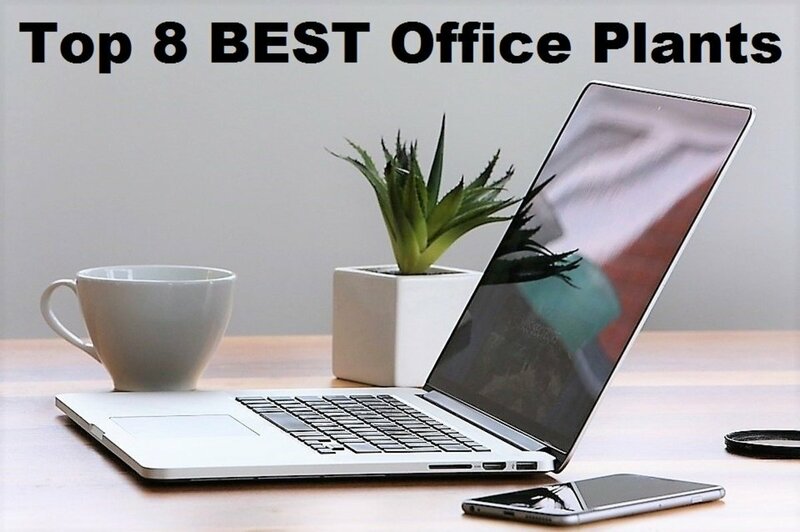 You should keep the jade plant in bright light. You'll also need to water them when the soil feels dry. This plant has been used for medicinal purposes for centuries. The sap, which is found on the inner leaves, is often used to heal wounds. It also soothes burns. 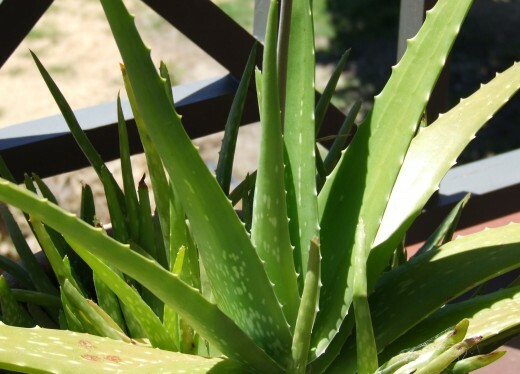 Aloe Vera should be kept in full sunlight. It should be watered when the leaves feel dry or brittle. This plant, which is native to the desert comes in a variety of colors. It does best in dry conditions. Echeveria should only be watered once it has dried out. This is a tidy plant that is a perfect addition to any small space. The Zebra plant requires a moderate amount of sunlight and water. This plant is known for the little white hairs that give it a fuzzy texture. It is native to Madagascar. The panda plant loves the dry, winter air. Water as needed. Just make sure to keep the leaves from shriveling. Haevermans (2004). "Euphorbia tirucalli". IUCN Red List of Threatened Species. International Union for Conservation of Nature. May 2006. "Euphorbia tirucalli L." Germplasm Resources Information Network (GRIN). Agricultural Research Service (ARS), United States Department of Agriculture (USDA). March 2010. I have a beautiful firestick that was doing very well, but it rained and now it seems to be paler than before and has what looks like burnt/drying/ cracking on some of its limbs. It is in a pot that is not too big or roomie and does not look to be wrinkling. Am I overreacting? The rain was a week ago today and I have not watered it since. I live in Los Angeles and other than the rain the weather has been great. What am I doing wrong? Once a firestick plant reaches a maturity the oldest branches and trunk become woodier. The plant is aging and the main limbs will form a bark and the inside of those limbs will become like wood and have a fibrous nature. There is no stopping this mature growth. I do not think firestick is a good plant to train into a bonsai, but jades are kept for years in pots. You could nurture it like a bonsai with replanting and root and limb trimmings. (Beware of the sap!) There may be a point where you will want to just select a lovely branch from the mother plant and start anew. I live in New England, but it’s currently summer time and it’s like 90-100 degrees out. I have this fire stick cactus outside in full sun for the past few days. There are a few little leaves on top that are red, but the plant in its entirety is still totally green. How long does it usually take for these guys to color-up? As long as you know you have the "red" variety, don't worry. Cut or break off old green branches to encourage new growth. New growth means more red. Lots of sun is best. Don't over water. Warning! Be careful to protect eyes from the white sap. My plant is too big, and it is falling over to one side. What can I do? It is probably too top heavy. Break off branches along the trunk and thin out the top. Be careful and do not get your hands near your face until they are washed off of all traces of the sap. Stake it for a month or two if it is still leaning, or pull it out and replant a healthy-sized branch from the original. Fall is a good time to do this because it is not too hot. I seriously advise not to let firesticks get too big because it will get a thick woody trunk. Soon you will be looking at a tree-sized plant. I'm in Southern California at about 3,000 feet, it does get down to 30-35 degrees sometimes, should my fire stick succulent come inside? If your plant is near your house it should be ok during the occasional over night freeze. Cover it with a newspaper tent if it is going to be any cooler than 30 degrees. What is the procedure for a frozen fire stick plant? Leave it alone. It should get a little water just once every three weeks till spring. When new sprouts form in spring break off all dead branches. If the trunk is getting woody, pull the whole plant up and start another with a good clipping. I just trimmed some Fire Sticks, will they grow back once you cut? Yes, the plant will, in fact, grow into a woody trunked tree. I would advise pulling it up every three years and starting a new plant with one of the cuttings. A tree version is not very attractive as a landscape plant. I live in Arizona, and I have a small firestick succulent that gets a lot of sun. It's on a drip system. Part of the plant turned dry & brown then died. Some of the ends are doing the same. Is it getting too much water or not enough? Is it getting too much sun? A firesticks plant can take full sun all day. Since it is a small plant, water it more until it is established. Once it gets cooler in the fall, then water less during the winter. Can I cut the top off a firestick plant and replant? How long does it take to root? Yes, you can. I am not sure how long it takes for roots to appear. Let the end dry out for two to three days, and then replant. The ground should be dry for about three to four days before rewatering. Once you see new growth water it as you do now. I live in Oklahoma, and have ordered a couple of Firestick succulents. Since Oklahoma is in zone 7, can I grow indoors during our winter? Since Firestick's origins are the sub-tropical climes, I would keep the pots inside. After some growth is achieved, do not be afraid to break a few branches off and try some cuttings around your yard in the spring. Experiment and see if they survive the winter. We live in central Florida and our fire stick plants have stayed green. Will it ever turn reddish? There are two types. The older import from the 70's was called the pencil plant and that version does not have the red and yellow coloring. If you have not seen color during any of the four seasons past, buy a new plant with plenty of color and start over. Or better, get a good healthy clipping from a neighbor's red plant. All succulents have plenty of clippings after a year's growth. You will be throwing them away. Share the bounty. My plant has developed worms. What can I do to get rid of them? Yuck! I would start over with an all new planting and a new location with less water. What does my fire stick need if it has new growth, but then turns a dark color and falls off? Confining a fire stick to a pot is like trying to maintain a redwood tree in a pot. A bigger pot may work. The good thing about fire sticks is you can start another potted plant with a healthy branch. Let the end of the cutting air dry for a couple of days and replant in a new pot of soil. I have a new firestick plant, and I am trying to figure out exactly what his needs are. I water Most of my succulents about once per week; our climate is VERY dry here in AZ. I just noticed my firestick looks a little dull and wrinkly. Is this a sign of too much water? Is it in full sun or is it in the shade? It needs lots of sun. I would check for proper water by snapping off a branch. If the white sap starts to drip, there should be enough water. Be very careful to NOT get the sap in your eyes! I think it may need a bit more water if it is in full sun. ; not so much water if it is in the shade. We also live in AZ, and our fire sticks don't have that brilliant color it once had. We have an auto drip watering system, so it gets watered every day, and it sits in direct sun. Is it getting too much water? We transplanted it from a friend. I am in So. California so I am not sure about watering needs in AZ. Break a branch off and tend to it in a pot for as a back up a plant. Then water the ground plant only once a week and see what happens. You do not want it to grow into a tree in any case, so the backup can be used if the transplant does not come around. Can firesticks tolerate a windy location? I think firesticks can. It is a tough plant, but do no let it get very large. Rip it out and start over every two years. I recently bought a house in southern California that the previous owners didn't really take care of. The yards have become jungle-like including a firestick plant that is about 15ft tall with multiple thick trunks. I've been slowly cutting the smaller branches off but I'm thinking I'll need to eventually cut down the entire thing as it is leaning over into my neighbor's yard and not very attractive at that size. Any suggestions on the best way to do this? Sawzall? Hand-saw? Ladder? Do I need to bring a fire stick succulant plant inside for the cold nights? If it snows or gets below 32 degrees for more than one night and it is in a pot bring it indoors. Any stories or questions to add in the comment section? Have you had over night freezes? I am a snow bird in Chandler AZ. My fire stick plant was beautiful orange in Nov and now it is Jan and it has turned a pale brown and the branches are limp and feel water logged. Planted three this afternoon. Spent the next 2 hours in urgent car. Left eye felt like a hot poker in it. Heed the warning, Becareful!!!!!! I live in Iowa and ordered firestick succulents from an online site. They were beautiful when they arrived and have them inder several grow lights inside with my other succulents which are thriving. Sadly they have all broken off . I water every two weeks. Whats goin on? Alicia, two weeks ago I reexperienced the same thing. Every time I blinked I thought I was destroying the eye. It seems that more eye washing or more eye drops of any kind made it worse. I paced around the house in hand shaking pain for 3 hours. After the episode was over everything was fine. Sorry this happened to you, as well. I am seriously thinking about removing our plant. Will wear full proctective goggles for the next trimming. I was trimming one of the Fire Stick plants in my yard. I threw it out in garbage, came back to get another branch and a new shoot had broken off and a tiny drop of sap got close to my eye. I used an eye cup to flush out my eye but the burning continued to intensify. Called my doctor and he told me to go to ER. My neighbor drove me to the hospital. I felt as though my eye was on fire. The ER doc called Poison Control, and my eye was continually washed out for more than 20 minutes. This was the most painful experience I've ever had. The pain lasted well over 6 hours. I had prescriptions for drops, an ointment and several pills: for pain and inflammation. I saw my eye doc two days later and I still felt pain in my eye socket. My eye sight is ok and the pain slowly dissipated and lasted just a few days more. It was one hell of an ordeal. I plan on taking my 4 plants out of the yard. I will be wearing protective glasses, long sleeves, gloves and long pants. Such beauty, but not worth it! Robert. At this point we are relying on information about your experience. I have yet to see experience with breathing or swallowing the white sap. If you come up with more conclusions with this wacking let us know. Lisa Thank you for the Benadryl tip. That is good to know because the irritation tends to last up to 20 minutes or longer. My mother was breaking off some pieces and transplanting them. she was not wearing gloves and pushed the hair back out of her eyes and Instantly her eyes began to burn, her face around the eyes, cheeks,nose and forehead started swelling,her nose began to run, and she couldn't see. She began flushing her eyes with running tap water, that helped a little,then tried eyewash,then ice packs. Finally what worked was BENADRYL. within 5 minutes...she was better. They are lethal to pets! Especially if ingested! Thanks Catzz61 for this observation on the changing of the red colors. These plants can become a tree, so pull out and replant with a large slip to keep it manageable. Is it wise to plant a big fire sticks plant close to a wall? Can the roots do any harm to the wall? I have this plant in Phoenix and it is doing GREAT! It is on the watering system and gets full sun until 9am-4pm, The change in color only happens when it is COLD, then it goes to it's normal succulent green. Not sure about the dog thing, you can check the ASPCA website for poisonous plants. I wear gloves and long sleeved shirt to trim and take cuttings...the cuttings have done well also due to being on the same watering system. Is this plant toxic for dogs if they chew or eat it and can it cause dogs serious problems? If so can you please list the problems. You are the second to have this problem. My plant gets full sun and water once a week. Are your conditions the same? Is it in a pot? My fire sticks have lost the fiery color, is there anything like plant food, fertilizer that can b given? Hi Rose Marie, My plant gets all day sun. Do you see shriveling of the branches? Guessing, I would say the water is not at a good level. Too much, say from lawn sprinklers. If that is not the case, make sure it gets a watering once a week. my fire stick plant is facing East .... full sun in the morning hours .. recently the beautiful orangey color has changed to white..
weeks, at a time, the red may come back. Over watering may be the problem. Or try to get a red branch from a neighbor or friend and start over. The color is what makes this plant eyecatching. An unusual plant indeed! A striking color and I appreciate the helpful tips. Voted up, interesting useful. Attractive plant for vibrant color and texture . . . thanks for all the gardening tips.